Covering 20 states, the duo plans to prepare a comprehensive report that will serve as a safety guide for highway motorists. In an effort to document defective stretches on national highways (NH), a duo from Mangaluru, who are in their 50s, will embark on a 60-day road trip spanning 20 states. 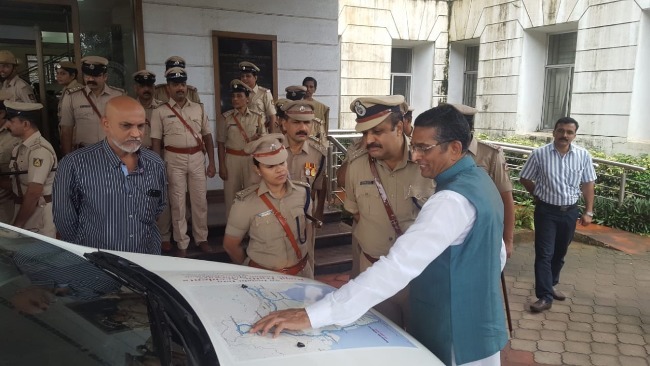 Covering a distance of 16,500 km, the duo plans to prepare a comprehensive report that will serve as a safety guide for motorists on the NH. From Thursday, insurance surveyor and loss assessor Praveen Chandra Shetty and agriculturist Kishen Shetty plan to travel to Goa, Maharashtra, Gujarat, Punjab, Chandigarh, Himachal Pradesh, Uttarakhand, Uttar Pradesh, Bihar, Arunachal Pradesh, Nagaland, Manipur, Meghalaya, Sikkim, West Bengal, Odisha, Pondicherry, Andhra Pradesh, Tamil Nadu and Kerala. 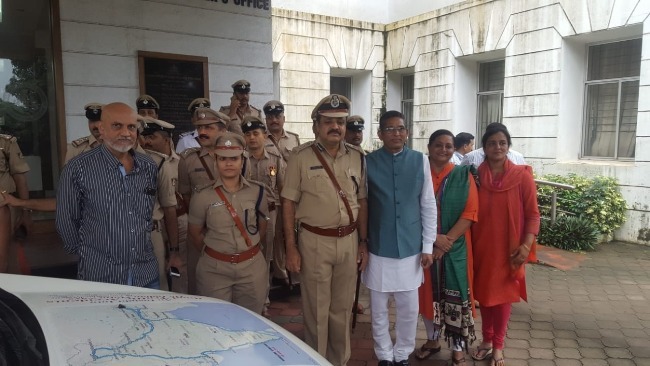 Flagged off by the Mangaluru City Police Commissioner TR Suresh, the duo will try to accomplish their research journey in the next two months. Upon completion, Praveen plans to submit his work to the Ministry of Road Transport and Highways (MoRTH) and the Indian Road Congress, among other concerned agencies. Pulling up the insurance claim records to see the pattern of road accidents across NH in Karnataka, Kerala and Maharashtra over the last 20 years, Praveen says that it is falsely assumed that highway accidents are due to drunken or rash driving. “Of the 12,383 cases examined, only 22% have been categorised under drunken and rash driving. More than 50% of the cases are due to defective roads,” 57-year-old Praveen says. Be it caution and other signages, illumination, width of bridges or culverts on these highways, there is lack of uniformity and consistency on national highways, despite being constructed under the supervision of the same agency, NHAI, Praveen claims. “For instance on the Mangaluru-Bengaluru highway, due to poor execution of ramp and its landing, several passenger and commercial vehicles have lost control while applying brakes or avoiding the ditch-like formation. Some have even ended in fatal accidents,” he says. While drunken driving and overspeeding can be controlled by stringent enforcement and disciplining the drivers, Praveen says proper attention to road engineering can save the lives of regular commuters. 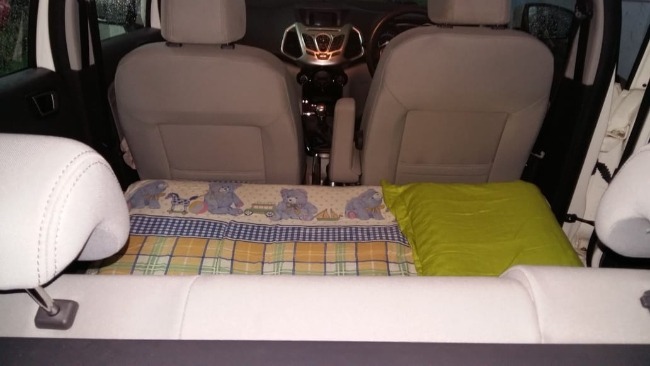 Pegged at a personal investment of Rs 5 lakh, Praveen has converted the rear of his car into a mobile sleeping pod. “Each day we will drive for about 12 hours, switching the driving between us every three hours,” Praveen says. Besides taking notes, the research and the fault-lines in the roads will be documented by the duo using an action camera (GoPro). They will also record the vehicle frequency and vehicle types, along with weather conditions on certain stretches. Praveen, who bagged the gold medal in Diploma in Mechanical Engineering and Automobile Technology from Karnataka Polytechnic College in 1981, has served as an insurance surveyor and loss assessor for the last 35 years. “I feel that the experience that I have gained through my career must be shared with others, so that there is a larger benefit to society and also so that I can contribute to the longevity of motorists,” he says. Story by www.storyinfinity.com (Subs and Scribes Media Ventures LLP).